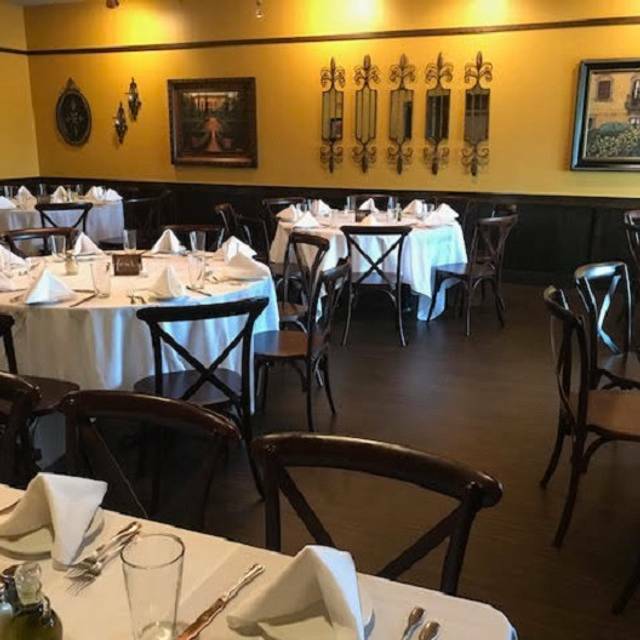 The Old World decor, authentic Italian cuisine and impeccable service make Frankie's Ristorante an excellent choice for your upcoming special occasion. We believe food and celebration go hand in hand. We will put all our expertise to work for you to make your event remarkable. 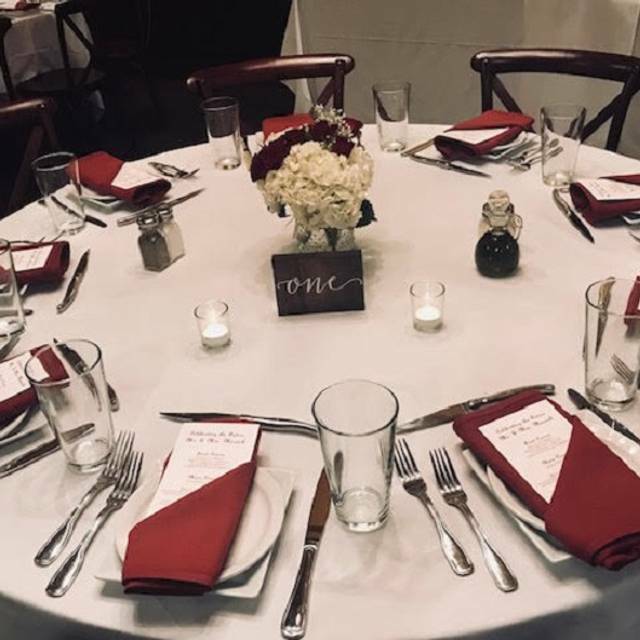 The Santoro Family has been in the food service industry since 1988 through their casual restaurant Frankie’s Beef & Pasta in Oak Lawn and Frankie’s Catering for off site events. 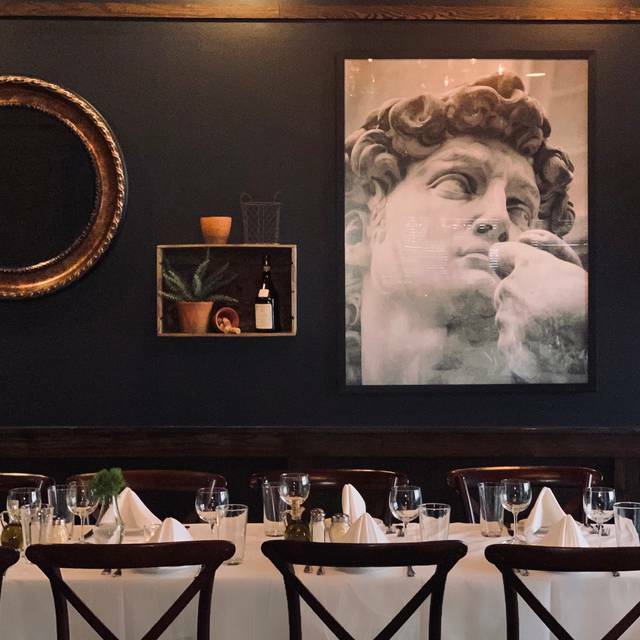 From our famous robust homemade Italian sausage and meatballs to our house-made pastas and sauces to our decadent imported Italian desserts, we strive for perfection in our kitchen and have raised the bar high for our service standards. 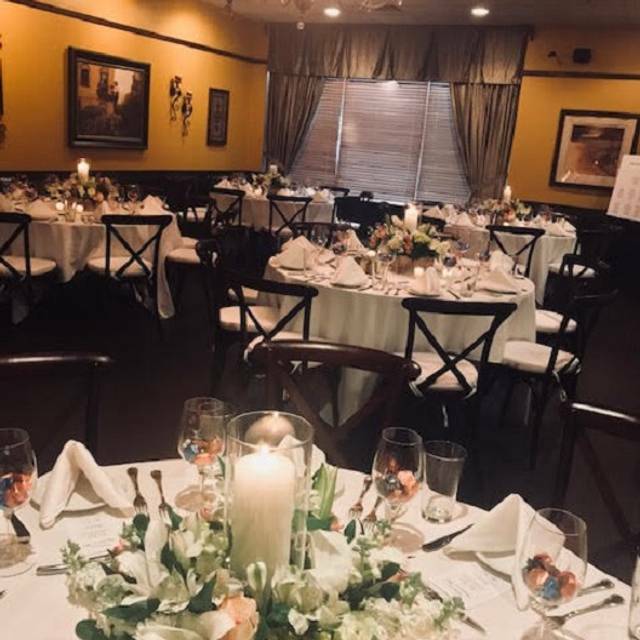 Our customers are treated like guests in the Santoro family’s home and our purpose is not only to make them feel wined and dined, but also pampered. 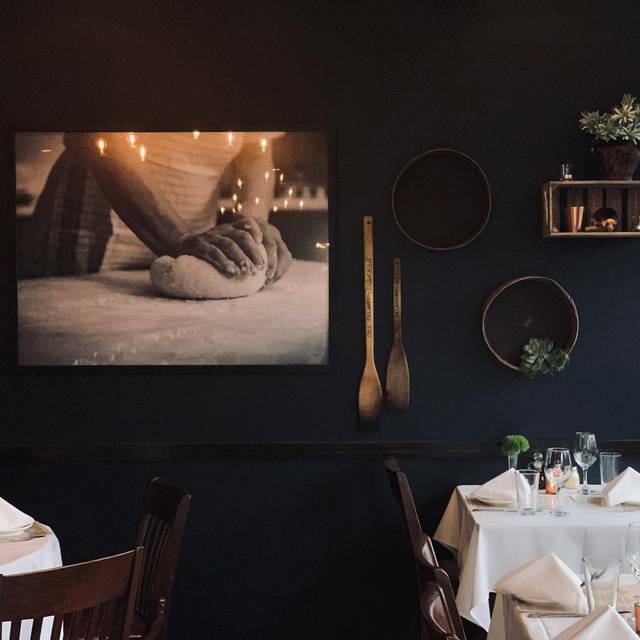 Our chef - born, raised and schooled in his homeland of Italy and with experience in some of the most renowned fine dining establishments in the US and Europe, has found his passion in life in cooking and has brought this passion to each one of his dishes. He maintains a consistent authenticity which has won us rave reviews in the local news media as well as a following among our guests. It was a first time for my wife, myself and 4 friends. They all enjoyed their meals tremendously. I ordered a pasta/seafood dish and asked for substitute ingredients. None of them were added and the pasta was undercooked, even after asking for a redo. I decided to take my meal home and doctor it up myself. Honestly, no garlic? Really? No white wine or butter? Really? A little Noisy but the Lasagna Bolognese is outstanding! Great food, reasonably priced. Atmosphere is nice. 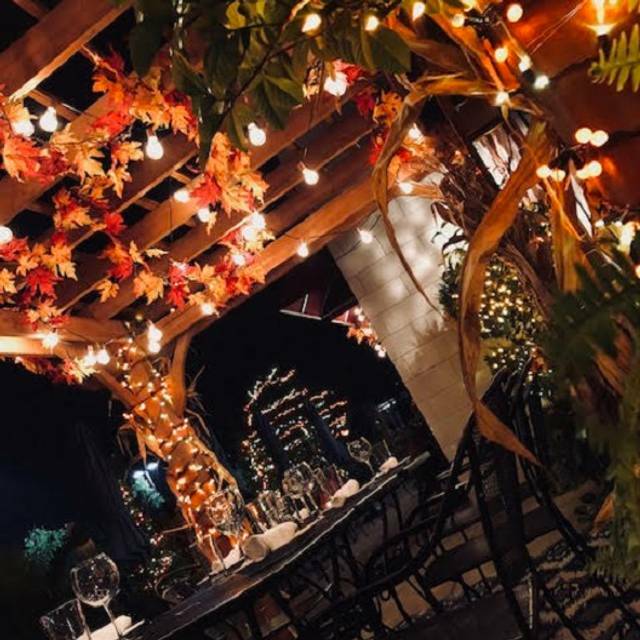 Great date night place. 5oz filet mignon that you don't usually see at restaurants. Perfect size for the ladies. The wait staff is always friendly and informative. Food is always exceptional! Service is very attentive but not overly attentive. 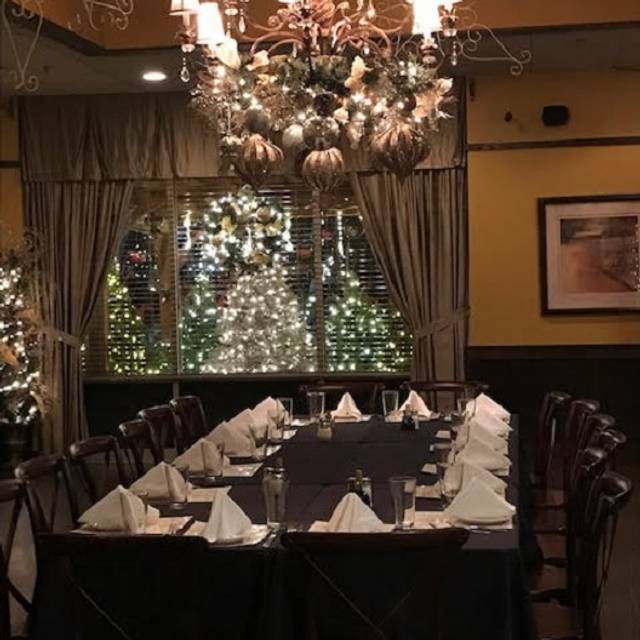 Frankie’s is our go to place for a wonderful meal! Always great food. We loved this place for 11 years and hope to do so for many more. All was as expected and anticipated. Enjoyed the evening! Frankie and Chef went above and beyond as always! This place never fails to meet my expectations. Food and Service is outstanding!! Travis was our waiter and was fantastic. Attentive but not overly bearing. We had the grilled octopus for appetizer and it was amazing. It was fresh and not chewy. The char on the fish was perfect and the flavors just burst in your mouth. The chicken limone and the risotto with Scottish scallops are fantastic as well. The scallops were so fresh. They just melted in your mouth. The chicken was tender and flavorful. We finished with the chocolate lava cake. It was average . Always a great dining experience and enjoyed it. Experienced unbelievable seafood and a very well curated and not pricey wine list. I keep saying it but service is second to none. We eat hear every friday at 5 but tonight we have a reservation for 6 Frank obviously knows this as I get a phone call just to make sure we didn't mean 5. Ah-may-zing!!! Karen is one of the best waitresses we've ever had. And Frank was so friendly and relatable. Very good service. Food is exceptional. Busy atmosphere and a little loud but it was Saturday night! When we arrived at Frankies we were suppose to meet another couple. Different friend s of ours were coincidentally sitting at the bar. We invited them to join us and the host was very accommodating. They gave us a table for 6 at the height of a busy Saturday dinner hour. Besides being so accommodating they were as pleasant as could be about it. The pleasantness continued when yet another couple we know came in for cocktails after we ate and Frankie's staff gladly brought over 2 more chairs!! We had a lovely evening! This is our favorite date night! Fantastic atmosphere and food. Very good food,very professional staff, will be returning! It is awesome to have a fabulous restaurant close to home. The food is spectacular and the service was great too! One of our very favorite restaurants! The only thing I wanted to mention was that it was a little chilly for me in the dinning room. Just a normal family dinner made special by going to Frankie’s. For the number of years we have been going to Frankie’s we are amazed at the consistency of our meals. They are always on point. That can’t be said of most restaurants. We enjoyed the new decor. Love our Frankie’s family! We came here from out of town over 2 years ago for a concert and found this gem. If you are ever in Chicago, it is a must. The food is fabulous, wine delicious, atmosphere lovely! 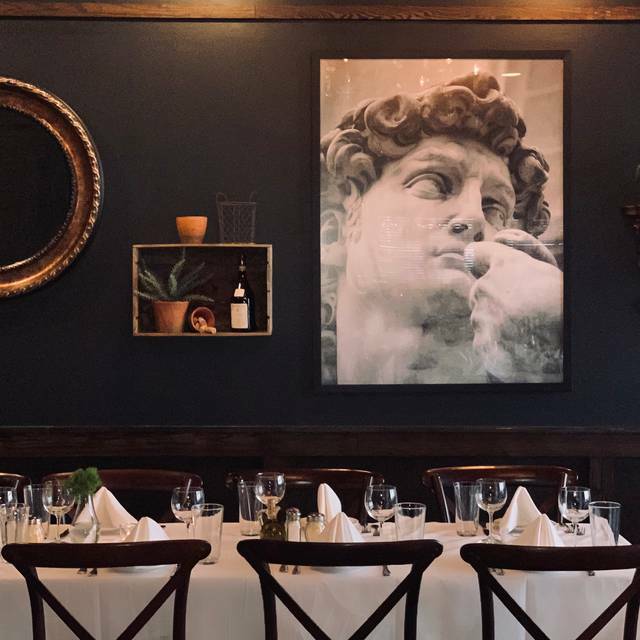 We LOVE Frankie's Ristorante! Thank you Frankie, Travis and Chef Gaetano Calandrini for another fabulous meal and date night out of town! We will be back again! Our evening was perfect. Food very tasty , the place was crowed but the service made sure everything was served nice and hot.Wine list fairly priced and so was the pour.We will go back. Loved everything about Frankies. A bit pricey, salads and soup ala cart. Drinks expensive but small! Frankies is a must visit for anyone in the south suburbs. Always delicious and the service is great! Frankie’s is a restaurant with a very nice atmosphere, a friendly staff and good food. Frankie visits each table to check on your dining experience. Have been to Frankie's before, but the food and service is even better than we remember. The Caesar Salad was the best I have ever had. Servers were extremely attentive. Atmosphere was conducive to an enjoyable dinner with friends. Will not only be back, but will recommend to friends! Good food, nice atmosphere, great waitress and wonderful host! Can't ask for anything more! We went for my mother's birthday and, per usual, food and service were AMAZING!! They had a new music playlist that had us jamming all during our meal! Highly recommended!! Can't lose with Frankie's! Always a great dinner and experience. A really fun place that is vibrant and has great food. Everything was perfect as usual! 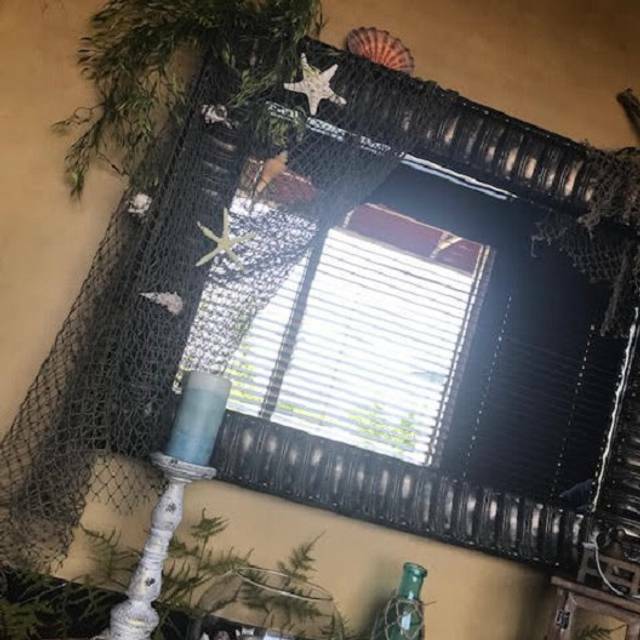 The new decor is amazing! The food and service is top notch!! Remodeling looks great !! Food is exceptional as always 💜💜💜 Love Frankies!! The food was excellent! The service was great! All in all we had a wonderful time! We will return! There is a reason we come here over and over again. The Food, decor, & service is top notch. We love the newly remodeled look. They also make the best old fashioned. If Frankie is around and not busy, ask him to make you one! Delicious. We will be back.